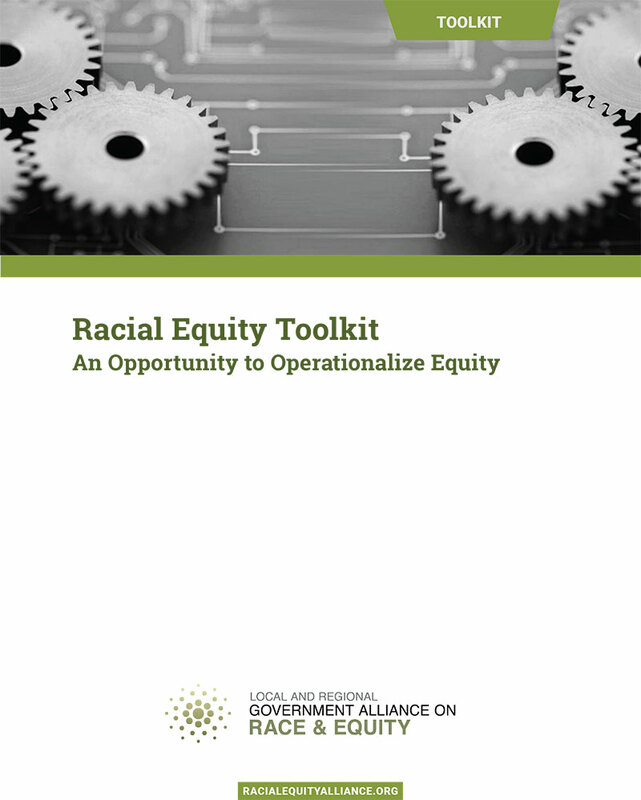 The Government Alliance on Race and Equity is pleased to share the new “Racial Equity Toolkit: An Opportunity to Operationalize Equity”. Racial equity tools are designed to integrate explicit consideration of racial equity in decisions, including policies, practices, programs and budgets. Use of the racial equity tool in government can help to develop strategies and actions that reduce racial inequities and improve success for all groups. Too often, policies and programs are developed and implemented without thoughtful consideration of racial equity. When racial equity is not explicitly brought into operations and decision-making, racial inequities are likely to be perpetuated. Racial equity tools provide a structure for institutionalizing the consideration of racial equity. Proactively seeks to eliminate racial inequities and advance equity. Identifies clear goals, objectives and measurable outcomes. Engages community in decision-making processes. Identifies who will benefit or be burdened by a given decision, examines potential unintended consequences of a decision, and develops strategies to advance racial equity and mitigate unintended negative consequences. Develops mechanisms for successful implementation and evaluation of impact. Use of a Racial Equity Tool is a critical way in which government can normalize conversations about race, operationalize new behaviors and policies, and organize to achieve racial equity. If you would like training on use of the Toolkit, or development of a Racial Equity Action Plan, or are interested in joining GARE, focusing on the power and leverage of government, please contact Julie Nelson, jnelson@thecsi.org or (206) 816-5104.